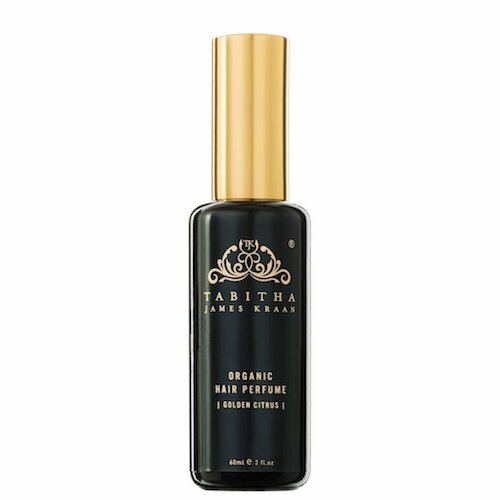 The Organic Hair Perfume by Tabitha James Kraan is a luxurious necessity for adding a hydrated and restorative feel to even the baddest of bad hair days. This hair scent smells so exquisite its use should by no means be restricted to just the tresses. You'll wonder how you ever lived without it. The scent of neroli, bergamot, lavender, and myrrh adds an uplifting effect of sweet sparkle to hair. Mist as desired at arms length. Apply just after styling as a finishing polish. Apply on washed locks, or dry hair that needs a refreshing feel. Keep at your desk and use to make mood feel brighter during your mid-afternoon slump. Expensive and seems to mostly just wet my hair. Seconds after spraying the scent is undetectable in my hair. For natural perfumes I am a BIG fan of Mandy Aftel. You are much better off with her perfumes or using a bit of Ranavat Botanicals' Mighty Majesty to scent your hair. This was a complete miss for me. I love the scent of this spray, but I can’t get it to last more than an hour. I’ve tried applying it on wet hair, dry hair, and my body, but it never lasts. I wish it would last longer, because it smells amazing!